This one will be a bit shorter given we have made numerous references to it in the review up to this point. You can still buy the R6 at a competitive $599 or in aluminum (and lighter with different colors) for $499. It also now comes with Oreo 8.1 so almost all features on the R6 Pro are available on the R6 including LDAC BT. It retains the Snapdragon 425 processor and 3Gb of RAM and our speed testing show both are more or less performing at the same levels with Oreo. The only physical differences are the 2.5mm balanced jack output, a slight off-center USB-C socket on the base and a few mm shorter and 10mg weight (SS). Nothing significant in terms of different dimensions. Both have the same DAC implementation with a dual ES9028Q2M and both can decode to the same DSD256 and PCM 32BIT/384kHz levels. However, with the new amp design in the R6 Pro, there is a major change in the performance of these two DAPs. 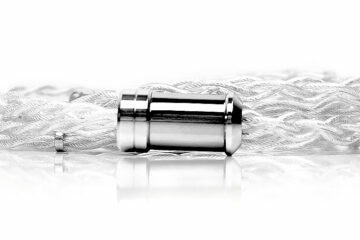 Gone is the 10Ω impedance now down to sub 0.5Ω for both balanced and unbalanced outputs. In comes much more power on the R6 Pro going from 120mW to 245mW unbalanced and 300mW to 750mW balanced (32Ω loads). You will no longer get low-impedance skew with sensitive IEMs on the R6 Pro and you will not have to use impedance matching cables. You will also have more power on tap for more demanding headphones for the R6 Pro. However, the noise floor is much higher now on the R6 Pro compared to the R6 so hiss is more of a factor than before with the likes of the Solaris, Andromeda and EE’s Phantom. (Note sound comparisons done with Custom Art FIBAE 1 and iFi IEMatch 2.5mm and 3.5mm though not at the same time). The two major differences in the tuning between these two DAPs are the amount of treble presence and the dynamic range, particularly in the punchiness and low-end body. The R6 Pro is the slightly warmer of the two with less upper treble presence and more body. Timbre is richer and fuller but also slightly softer and more natural sounding to my ear. The R6 is not quite as vivid or powerful sounding with a cleaner timbre, more odd-harmonic presence and a slightly harsher edge to vocals and percussion voicing. If you want more treble energy then the R6 is a good choice but I prefer the power and dynamics of the smoother R6 Pro. This is like a pincer movement with an iBasso below and an iBasso above. No, wait, it’s like something else but this is a PG site so lets move on quickly. I was really just going to focus on the DX200 but a few people requested the DX150 so in it goes along with Amp 1, 3 and 8. Both operate pretty similarly so I can use ‘/’ quite a lot which I like. All 3 are now are on Oreo 8.1 and look and feel much the same in terms of their Android navigation and environmental controls. The bit-perfect output of the R6 Pro may be an advantage if you are installing other media managers. Both iBasso units use a dual boot and Mango OS/Player and it really comes up short for me in usability and sound shaping options compared to the HiBy Music App. Of course, you can install HiBy Music on both iBasso units but no bit-perfect playback. Speaking of installing, both iBasso ship without Google installed and that will be challenging for those who use the Play Store a lot. Instead, you get the Pure APK store which is actually quite good so it is much better than the old side loading route. Still, the bloat-free Oreo plus Google Play services on the R6 Pro is a distinct advantage combined with the faster processor and 1GB additional memory. The R6 Pro as an Android device/DAP is simply faster and more user-friendly. The SS R6 Pro is the heavier of the two devices by around 35g. However, it is much smaller. 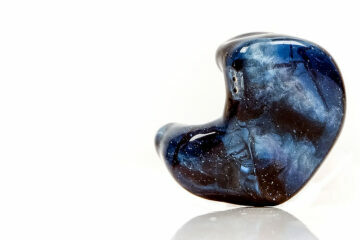 I take the additional weight for that compact size over the bulkier iBasso DAPs. The DX150 is a touch sleeker compared to the DX200 but both pale into comparison to the diminutive R6 Pro. Of course, both iBasso DAPs have the amp card ecosystem which is far more flexible than the built-in amp of the R6 Pro so you have to allow for that also in terms of dimensions. They also similar screens at 4.2″ IPS 1280 x 768 px resolution for all three DAPs. The R6 Pro’s smaller bezel and 2D glass, however, make it much more attractive in my opinion. One thing I wish the R6 Pro came with that iBasso has got right is the leather case with the DX200/150. It would be great if the R6 pro had them also as the supplied silicone slip-on is a bit craptastic. The DX200 is still ahead with its use of a dual ES9028PRO implementation compared to the dual ES9028Q2M inside the R6 Pro. The DX200 is the only sub-$1k DAP on the market that will decode up to DSD512 with the R6 Pro still capped at DSD256 and PCM 384kHz/32BIT. The DX150 uses a cheaper Dual AK4490EQ inside but still matches the R6 Pro for decoding up to DSD256. Amping is where things have a fair degree of difference. The impedance of the R6 Pro has been sorted now and at under 0.5Ω, it is very competitive and lower than Amp 8 even by 0.10Ω approximately. The R6 output power is much stronger now but still slightly less than the DX200 at 750mW into 32Ω balanced compared to the Amp 8 at 1W into 32Ω. The single-ended output of AMP 1 is also just marginally stronger at 280mW compared to 245mW of the R6 pro. In both balanced and unbalanced the R6 Pro is marginally more powerful than the DX150 at 750mW compared to 720mW balanced and 245mW compared to 180mw unbalanced (amp 6). Note you can change the cards on the DX150 to increased power beyond the R6 Pro for an additional $199 giving you two cards and a DAP for the same price as the R6 Pro. Noise. There is a difference and it goes in favor of the iBasso DAPs. The numbers do not lie either. With a THD+N of 0.0025% unbalanced and 0.0012% balanced compared to 0.00032% unbalanced and 0.0002% balanced for the Amp 1 card and even lower for Amp 8, the iBasso amp cards have a clear advantage over the R6 Pro fixed output. What does this mean? Basically, you get more power under similar loads from the amp cards but you also get a lower noise floor with it with a black background and less hiss on sensitive IEMs like the Solaris and Andromeda. I must note that the Dx150 has a slightly higher noise floor than the DX200 with the same amp cards but both are lower than the R6 pro. The tonality is a little more reference, more neutral in its instrumental and vocal timbre than the R6 Pro. Odd harmonics presence is just a little higher on the DX200/Amp 1 and you can hear it in vocal clarity and percussion bite. Despite that, both are fairly linear and not quite as punchy on the low-end as the DX150 (or the X7ii). I believe the upper treble presence in the Amp 1 card is that bit stronger than the R6 Pro’s amp stage which has a slight roll-off. Whilst you get a smoother tone and plenty of texture and body on the R6 Pro you lose a little more sparkle and air compared to the Amp 1 on the DX200. The Amp 8 pairing with the DX200is something special though the R6 Pro does a good job minimizing the gap on that enhanced dynamic range and power the iBasso combo offers. There are some nuanced differences. Personally, I think the Amp 8 is slightly more open sounding with enhanced instrumental separation and clarity. Amp 8 adds a little more muscle on the low end and some additional texture over Amp 1 but it retains that top-end air and sparkle. The R6 Pro opens up over its unbalanced output with some additional dynamic range also though not quite as much. It still has that little top-end roll off compared to the DX200/Amp 8 that leaves it slightly less airy but smoother sounding on vocals and percussion. You do not get a night and day difference in the tonality of these two DAPs. Certainly, the difference is more noticeable on the old R6 but the smoother sound signature and slightly top-end roll-off of the R6 Pro adds a little more warmth and body, an area the DX150/AMP 6 excels in. However, you will be able to pick out where they do indeed differ. I call it the AK4490 effect with a slightly harder-edged lower treble and less body in the DX150 percussions timbre, vocals are just a touch further forward but offer slightly less texture and detail. They also have that slightly harder edge to them than the R6 pro. The DX150 Amp 6 low-end also has marginally more punch and forwardness. The R6 Pro has good weight and body throughout and like the DX150 has a tiny pinch of upper-frequency roll-off to accentuate that smoother sound. However, it sounds the linear of the two presentations with a more neutral vocal and low-end positioning. With the Amp 8 card, the DX150 instrumental separation and layering are much improved and it sounds the slightly more vivid of the two balanced 4.4mm outputs. Both retain the same core tonality for me with that slightly more aggressive upper mids and treble of the DX150 compared to the smoother tones of the R6 Pro. Just that the Amp 8 is the more dynamic sounding of the two balanced outputs. Noise or hiss on the Amp 8 is almost on the same level as the R6 Pro balanced output. The X7II is still a very popular DAP with a slightly cheaper price than the R6 Pro but it is starting to look a bit old given it was launched nearly 3 years ago. The OS is still Android 5.1 and like iBasso they need to dual boot into the dedicated FiiO Pure Music OS to get bit perfect output rather than via Android. The Android OS is relatively untouched by bloatware on the X7ii and the new FiiO Player app is much better than the old one and quite similar to the HiBy app minus MSEB. However, the response time of the OS is also slower than the R6 pro (2GB of RAM vs 3GB and less capable CPU). I find pausing and then hitting playback can be laggy on the X7ii compared to the R6 Pro. Also, some apps may not be compatible in the Play Store anymore for Android 5.1. The X7ii is the taller of the two DAPs but it is much lighter and a little thinner. 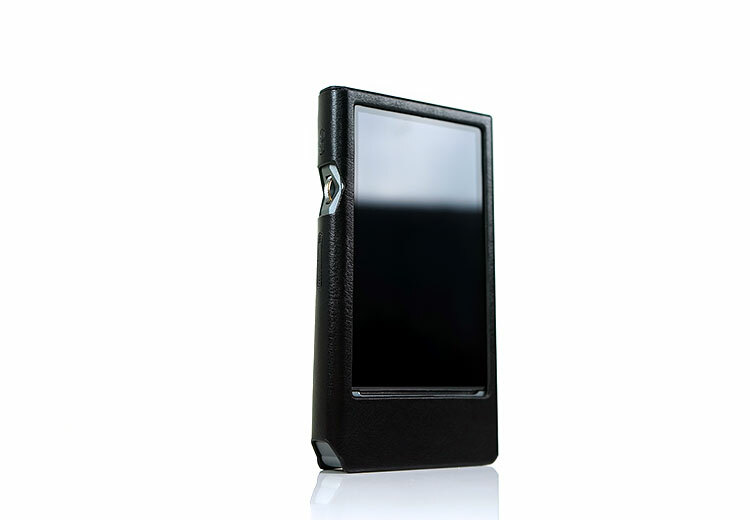 That additional height allows for FiiO’s own amp card system much like iBasso. Both handle well in the hand and both slightly better than the iBasso DAPs. I prefer the rotary volume control on the X7ii also over the +/- buttons on the R6 Pro. Much easier to manipulate in one hand. The screen on the R6 Pro is bigger and miles ahead at 4.2 inches, IPS (Corning Gorilla Glass), 768 x 1280 compared to the duller heavily bezel’ed X7ii’s 480 x 800 pixel 3.97″ IPS TFT screen. The X7ii does have more memory at 64Gb compared to 32GB and an additional memory card slot over the single slot of the R6 Pro. Battery life on the R6 Pro is marginally better by around 1-2 hours in regular use conditions. The X7ii has the more expensive ES9028PRO but it is only a single chipset compared to the dual ES9028Q2M implementation on the R6 Pro. Both will decode up to DSD256 and PCM 384kHz/32BIT so they are on par here. Also, the X7ii has yet to support LDAC BT despite having bi-directional BT4.2. The lack or Oreo upgrade path is a major factor here. 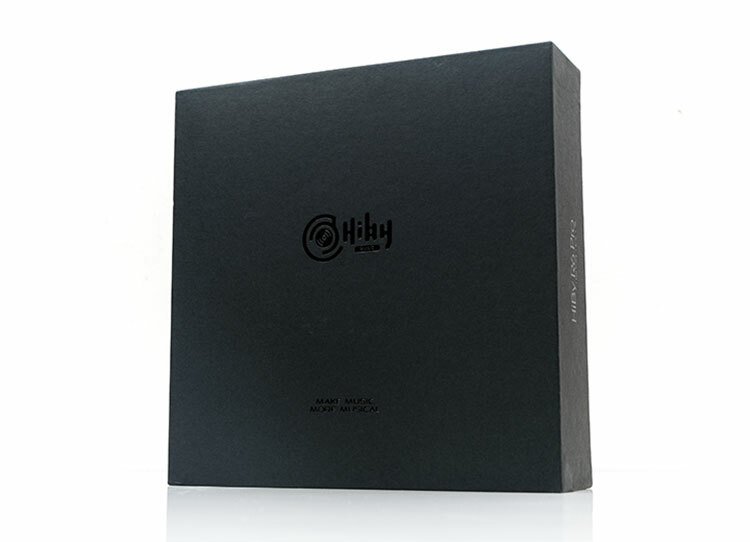 With the R6 Pro, you can happily broadcast LDAC and bi-directional with HiByLink. The X7ii uses an amp card system and out of the box supplied card is the AM3a. It is both balanced and unbalanced but uses an older 2.5mm socket compared to the R6’s Pro’s newer 4.4mm balanced output. You need to switch to the AM3b to get 4.4mm output on the X7ii. The AM3a amp card is not as powerful as the R6 Pro output at 400mW balanced and 180mW unbalanced compared to the R6 Pro’s 750mW and 245mW into a 32Ω load. The R6 Pro is more adept at driving more demanding gear than the X7ii. If you want more power on the X7ii you will have to switch to the AM3 but even then at 540mW balanced it falls someway short unless you throw on the turbo option which brings it up to 740mW. Noise is a factor with both of these DAPs using sensitive IEMs. The R6 Pro noise floor is slightly higher than the X7ii with AM3a and you can detect a little more background hiss as a result. Neither is pervasive though the X7ii is not subject to the occasional EMI with wireless on such as what the R6 Pro gets when close to phones. The timbre on these two DAPs differs in a few areas. First is the slightly leaner tone of the X7ii. The R6 Pro has the better body and a slightly more liquid sounding timbre to its instruments and vocals. The X7ii has the more pervasive treble presence sounding a little more extended and forward than the R6 Pro. Percussion timbre is a little cleaner there also. Vocals also have a little hardness compared to the smooth richer R6 Pro vocals. If you need a bit more sparkle and bite then the X7ii is ideal, if you want more body and texture then go for the R6 Pro. The low-end of the X7ii is also a little tailed off compared to the more powerful R6 pro presentation. You get a more planted and weightier feel in lower-pitched instruments such as guitar work with the R6 Pro over the X7ii. I still think the R6 Pro is a ‘bang for buck’ king for DAPs under 1k. The new tonal tuning gives it a more powerful sound and more pleasing timbre than the original R6. That lowered output impedance makes it much easier for sensitive IEM matchups. The upgrade to Oreo and the implementation of LDAC/HWA keeps everything ‘oh-so” competitive in what is a very competitive corner of the market. 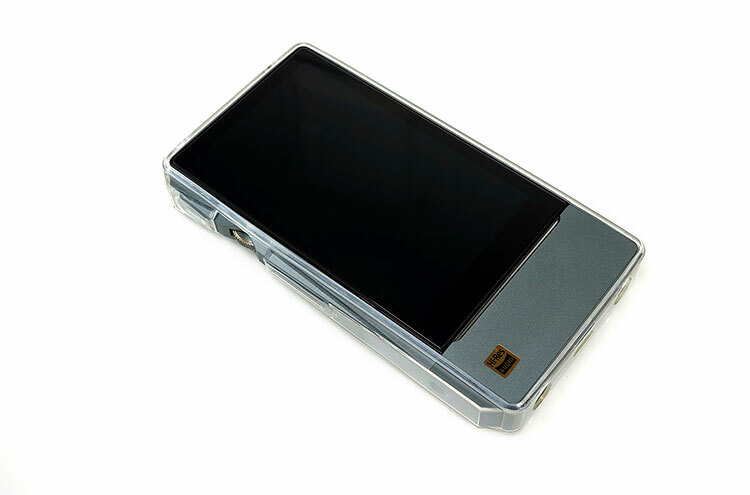 It is still the fastest DAP in the market today and for the price one of the nicest looking DAP’s also with that beautiful screen. WiFi and BT are strong with no issues streaming, storing offline and integrating with Google Play services. 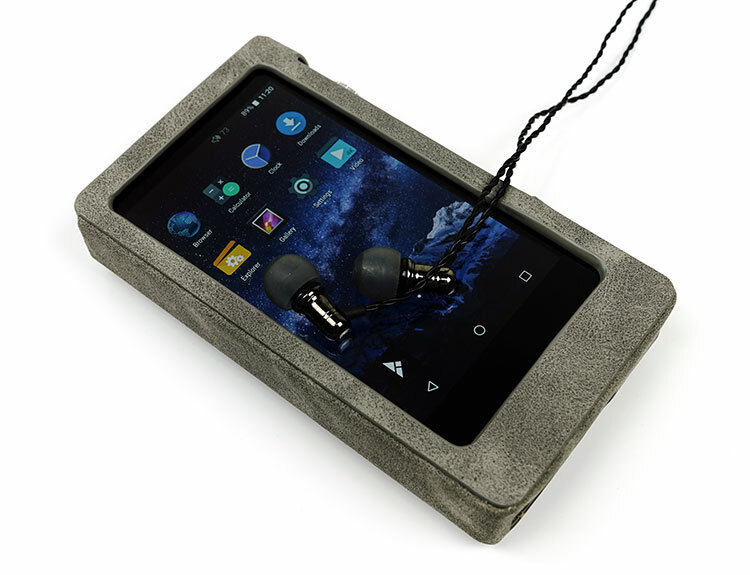 At times it feels just like working a decent mid-range smartphone with an awesome DAC and amp. I have no complaints on just how many features the R6 Pro actually has. It’s a joy to use in that regard. But there are tweaks that could be made and some drawbacks using the R6 Pro that knock off some brownie points. Noise is an issue and it is pervasive on sensitive IEMs such as the Solaris and Phantom. 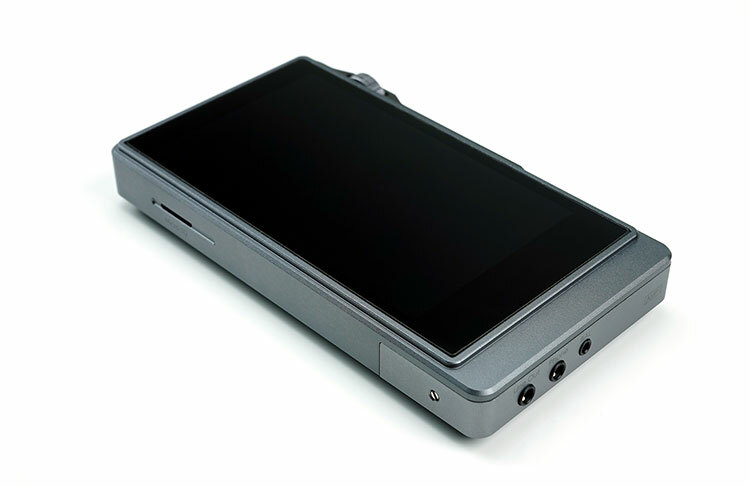 Lowering the impedance and upping the power was always likely to do that unless you go high-end with the ultra-quiet Lotoo Touch. I wouldn’t throw out your IEMatch cables just yet guys. Also that EMI near phones, it is not an omnipotent ‘feature’ but it happens. Aside from that, this is a great all-rounder and a competitor to the likes of the iBasso DX200. 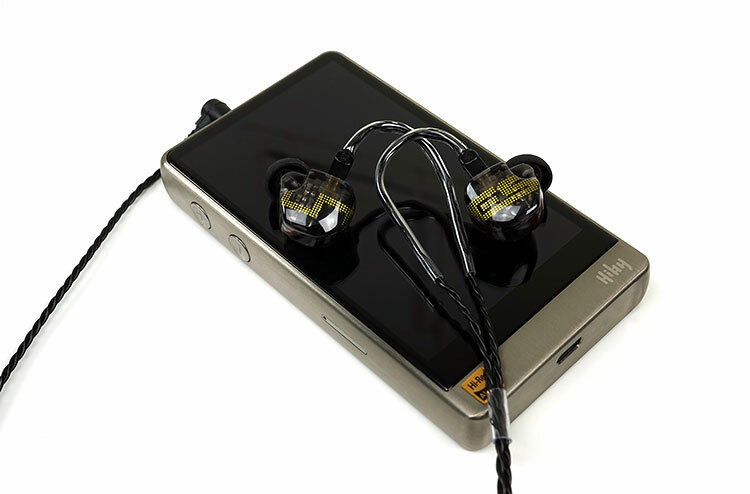 It is also now far-ahead of FiiO’s aging flagship, the X7ii. At $799, this stainless-steel bargain could be in the running already for something tasty at the end of the year.